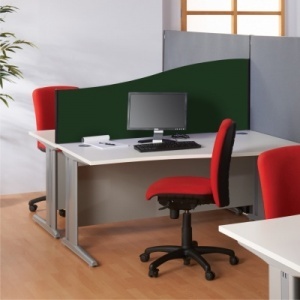 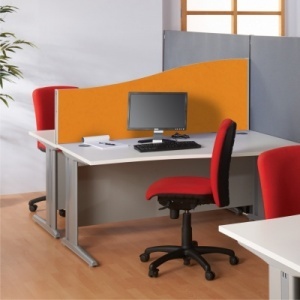 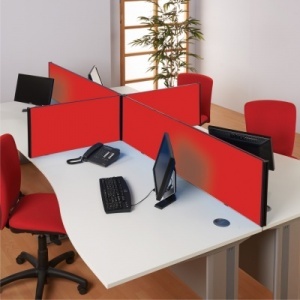 Our BusyScreen Classic Desk Screens are the ideal solution to provide a degree of privacy and to divide office desk areas. 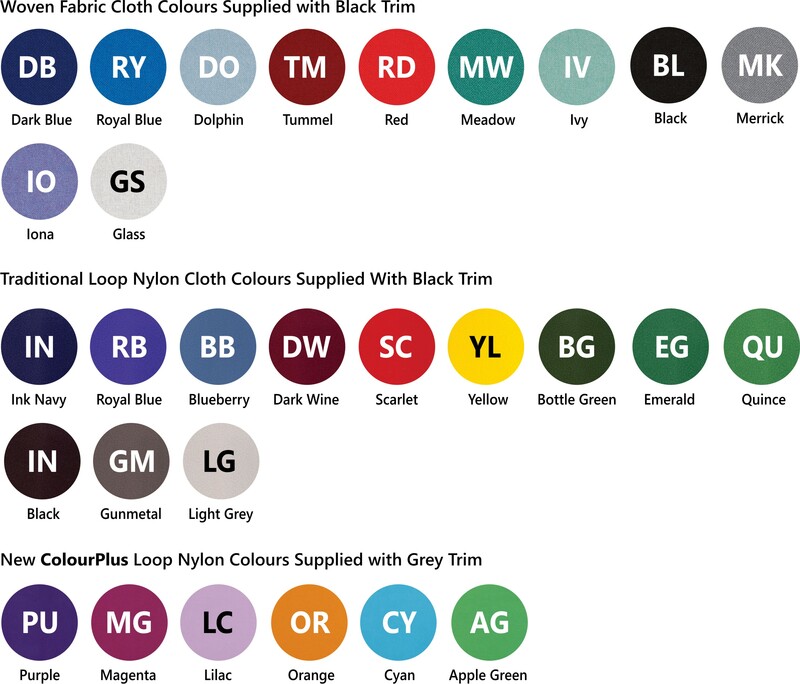 Available in a large selection of Woven or Loop Nylon colourways our BusyScreen Classic Desk Divider Screens are 32mm thick and available in a straight top or a wave top design. 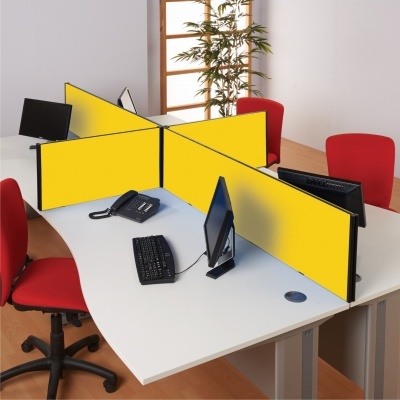 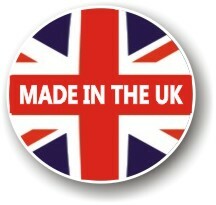 Available in a range 12 shapes and sizes. There are 2 systems available for attaching the screens to your desk. 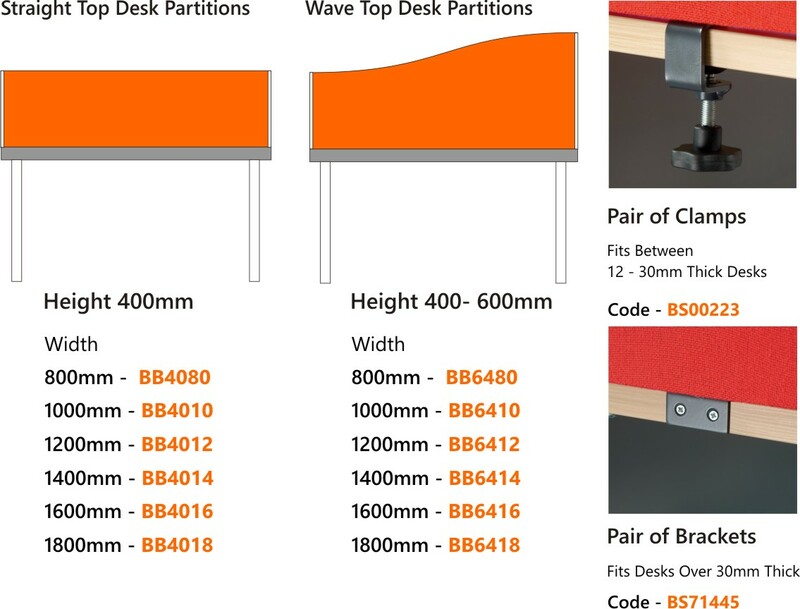 Clamps for desks with a thickness between 12 - 30mm and Brackets for desks over 30mm thickness.